This flashy metal ring comes complete with a fake gem and has a water bulb attached that turns it into a powerful squirt gun. 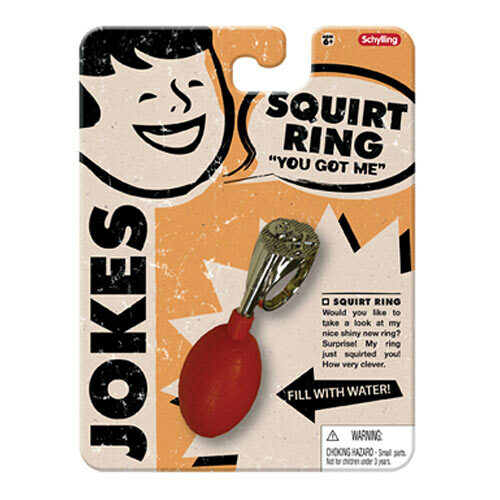 See you who you can drench with this classic prank! Measures 6 x 4.5 x 1.75 in pkg. Ages 6 & up.